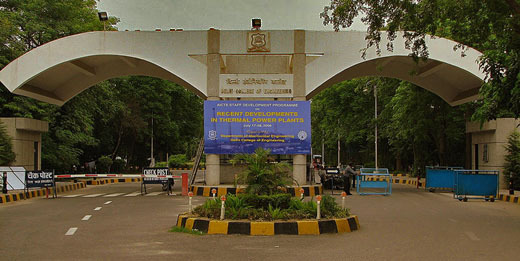 DTU, is situated in North - West Delhi, India. It is approximately 32 kilometers from the Indira Gandhi International Airport , New Delhi. (1) From ISBT Kashmiri Gate : Use the Delhi Metro Rail Service to reach the Rithala Metro station from ISBT. From New Delhi Railway Station: Use the Delhi Metro Rail Service to reach the Kashmiri Gate Metro station. From this station board the metro for Rithala Metro Station. From Indira Gandhi International Airport: From IGI Airport …………………….. to Rithala Metro Station . Once at Rithala, board local transport, auto or bus to get to Shahbad/Daulatpur which 3-4 kms from Rithala Metro Station. DTU is located in Shahbad/Daulatpur. (2) Taxi Services are the preferred mode of transportation when arriving from Domestic or International Airport of New Delhi. Residents having easy access to the Inner Ring Road can board a bus (Mudrika, 442, 479) for Wazirpur Bus Depot or the Azadpur Bus Terminal. After reaching the wazirpur depot the commuter may board Route No. 889 which will take him/her to the college. Residents having easy access to the Outer Ring Road can board Outer Mudrika and get down at Madhuban Chowk. Bus No. 879 take the commuter to the campus from Madhuban Chowk. West Delhi residents can board Route No. 879 which will take them directly to DTU campus. North Delhi Residents can reach the Madhuban Chowk by preferable mode of travel. Bus No. 879 take the commuter to the campus from Madhuban Chowk. South Delhi residents need to reach the Metro Station at Central Secretariat or Rajiv Chowk (Connaught Place) or Patel Chowk. They then have to board the yellow line (underground) to the Kashmere Gate metro station. At the Kashmere Gate Metro Station they must board a red line (elevated) metro train bound towards Rithala. They then have to get off at the Rithala Metro Station. North Delhi residents must reach the Netaji Subhash Place (Wazirpur) Metro station and board a train bound for Rithala. They then have to get off at the Rithala Metro Station. West Delhi residents can take the Metro’s Blue line to Rajiv Chowk and then board the Metro’s yellow line (underground) train bound for Delhi University. They have to switch trains at the Kashmere Gate metro Station and board a red line (elevated) metro train bound for Rithala. They must get off at the Rithala Metro Station. Note : Taxi Services in New Delhi do not ply on predefined routes and can directly take the visitor to the destination.